It is 40 years into the future and the world is in turmoil. A plague has destroyed humans’ ability to conceive females, or so Callum thinks until he meets Bo. One girl – could she be the last girl alive? One boy, pursued by reckless men who have kidnapped him from his fathers. Bo and Callum go in search of a safe haven, a place to call home. But where can they turn and who can they trust? 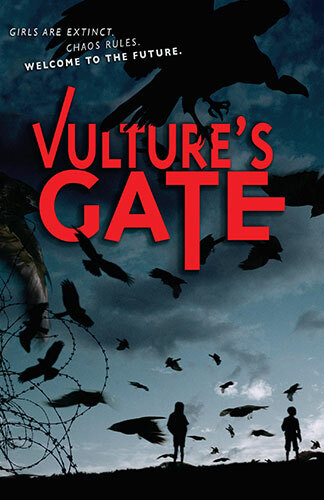 When every stranger is a threat, does their only hope lie in reaching Vulture’s Gate? And what is the disturbing secret at the ruined city’s core? Thank you to Sarah Robinson who first published this review on her blog Written Word Worlds.